Are you a fan of unlikely combinations? Do you like making games? Do you LOVE mashed potatoes? Well then, this is the jam for you! Running from May 1st - May 14th, spend a fortnight (that's right a "fortnight" is two weeks, betcha didn't know that!) creating a game with an emphasis on mashing up various elements (persons, places, things) within the theme.  So, what is a MASHUP you ask? It's quite simple really; you take two different things that usually don't go together and MASH 'EM UP to make something AwEsOmE! Like peanut butter and bacon or bears with bee wings (bumble bears, I guess?!) Which is why I thought it'd be fun for a game jam with MASHUP as the main focus! The rules are simple (I hope!) make a game that combines two (or more things) from the main theme. So, for example; if the theme is VEHICLES, you could make a funky shoot-em-up that involves a half-motorcycle half-unicorn hybrid that has a chainsaw for a horn (I dunno, crazy stuff like that... ya know, let your imagination run wild!) I hope that makes sense! Basically just take different things from the theme and put'em together in a game! Work solo or in a team, all game dev software allowed (yes, even RPG Maker ♥) Feel free to use premade assets (like from opengameart.org) just make sure you follow the guidelines for the assets you use! Anyway, this is really just a silly idea for a jam and I'm not even sure if it will turn out that good... but most of all don't be afraid to try something totally crazy and don't forget to have fun!!! Whether it be from movies, videogames, books, etc (or all of 'em) Use inspiration for characters, places, things or even genre (thanks to Jacoder23 for mentioning that) in your game from those funky and freaky cult classics or anything new with a cult following (while being mindful of copyrighted material, of course! For more info on this check out the NEWS post). All participants who submit a game get to vote on the submissions! MASHUP - How well did your different things mesh together in your MASHUP... is it a perfect match or is it so bad it's good?! A mashup game between "Last Action Hero" and "Jurassic Park"
Oliver Twist meets The Blues Brothers! PS1 style exploration, inspired by three cult classic movies. When transvestites invade a small asian nation it's up to one man to save them all! It is a casual and addictive android game. It has a simple game play which is tough to master.